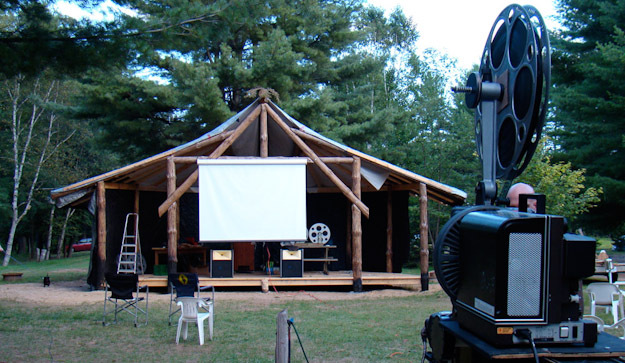 Our second "Cinema Under the Stars" will be held at Raven's Knoll Campground on the August 26-27th. Check back for details regarding the films. We will be screening two films one on Friday August 26th at dusk and the second on August 27th. The films will be projected on 35mm film and the movies are free for campers. Raven's Knoll is located close to Eganville, Ontario.